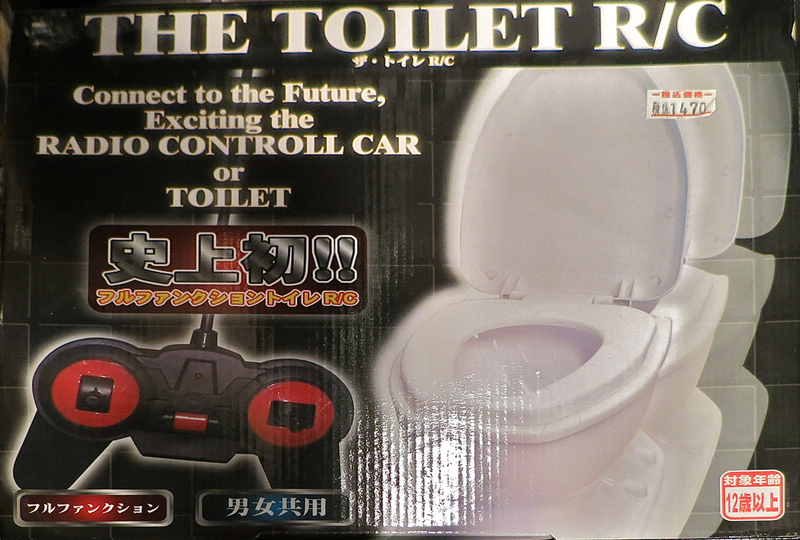 Yes, now you can level up your toilet game with this revolutionary R/C controller! We’re assured right on the package that it can be used by men OR women in a lavatory fight to the death: because even though men might dominate when it comes to putting up the seat, we know women utterly rule when it comes to taking that puppy down! And I hope that the fact it’s a “Full Function Toilet R/C” means it self-cleans and kicks the shins of anyone who misses.